Activision Blizzard says their spinoff plan will fail if judge doesn't reverse his decision. Activision Blizzard and parent company Vivendi have filed an emergency appeal to cancel an injunction barring the planned stock buyback that would make the publisher an independent company. The deal, which would allow Activision Blizzard and members of its executive board to purchase a large portion of Vivdendi's stock in the company, was held up by a preliminary injunction from the Delaware Supreme Court earlier this month after a pair of lawsuits asserted the deal was not necessarily in shareholders' interests and should be subject to shareholder approval. According to The Wall Street Journal, Activision Blizzard claims the injunction will kill the deal before the shareholders will be able to vote on the matter. The publisher will not be able to schedule a shareholders' meeting to vote on the matter before the transaction automatically terminates October 15. Activision Blizzard announced its plan to spinoff from Vivendi in July. If the deal goes through, Vivendi will sell $8.2 billion worth of Activision Blizzard stock in a pair of transactions: The company would purchase the bulk of the stock - 429 million shares - for $5.83 billion, while a private investor group led by CEO Bobby Kotick and co-chairman Brian Kelly would pay $2.34 billion for an additional 172 million shares. Activision Blizzard released a statement last week saying that, despite the injunction, the spinoff plan was still in place, and the company "is exploring the steps it will take to complete the transaction as expeditiously as possible." The publisher's lawyers added that "the injunction leaves Activision and its stockholders in limbo and at risk of losing an $8 billion deal that will return the company to public control." 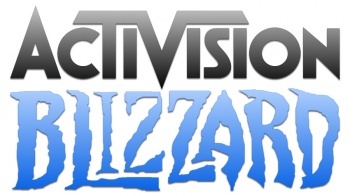 The Delaware Supreme Court will rule on Activision Blizzard's appeal at a hearing October 10.